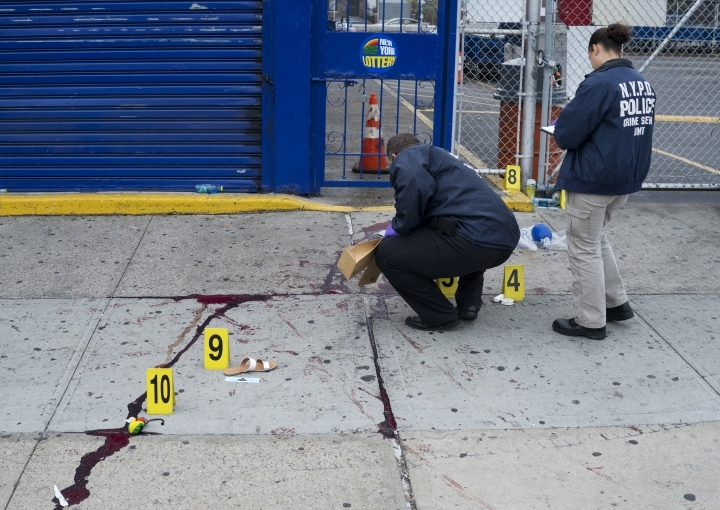 NEW YORK — A man has been arrested in one of two fatal shootings that cast a pall over a carnival celebrating the city's Caribbean communities, police announced Tuesday. Regenald Moise implicated himself in the shooting of 22-year-old Tiarah Poyau before dawn Monday during the Brooklyn street festival known as J'ouvert, police Chief of Detectives Robert Boyce said. Boyce said Moise told an acquaintance, "I think I shot somebody on the parade route. I didn't know the gun was loaded." Boyce said Poyau, who was shot in the head, was a student at St. John's University and was "a stellar person." Moise was arrested on charges of murder, criminal possession of a weapon and reckless endangerment. He was in custody, and no information on an attorney for him was available. Police have not made an arrest in the fatal shooting of 17-year-old Tyreke Borel about half an hour before Poyau's shooting. Borel and Poyau were killed despite a stepped-up police presence after a lawyer with the administration of Democratic Gov. Andrew Cuomo was fatally shot at last year's J'ouvert celebration. Democratic Mayor Bill de Blasio said that despite the violence city officials are not considering canceling J'ouvert, a celebration that takes place in the pre-dawn hours every Labor Day before the larger West Indian Day Parade kicks off. "J'ouvert will continue," said de Blasio, who joined police officials at a news conference. "It's an event that's very important to the community. ... But we're going to look at every conceivable way to make it safer." J'ouvert brings an estimated 250,000 people to the streets, while the West Indian parade attracts more than 1 million. No shootings or stabbings were reported at the larger parade Monday. De Blasio said the West Indian parade and two of the city's other massive annual gatherings, the St. Patrick's Day Parade and the Puerto Rican Day Parade, have all been marred by violence and disorder in the past but each one of them was brought under control. "We'll do the same here with J'ouvert," he promised.